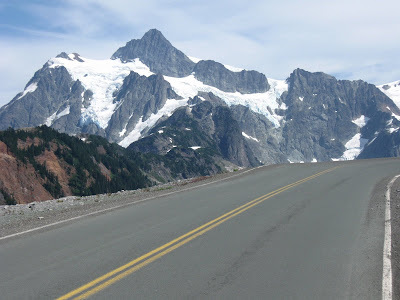 Takes a long time to climb all the way to Artist's Point at end of Mount Baker Highway on a bicycle, but what a good excuse to spend more time in that great scenery. I had to drink in this beauty for over 5 hours since it took that long just to get to the top from Glacier, WA. Then the best fish tacos I've ever had at Graham's in Glacier. This two day trip was a great precursor to more cycling planned before autumn. Stay tuned.